Archbishop Oscar Romero gave his life, in the words of Pope John Paul II, “for the Church and the people of his beloved country” of El Salvador. 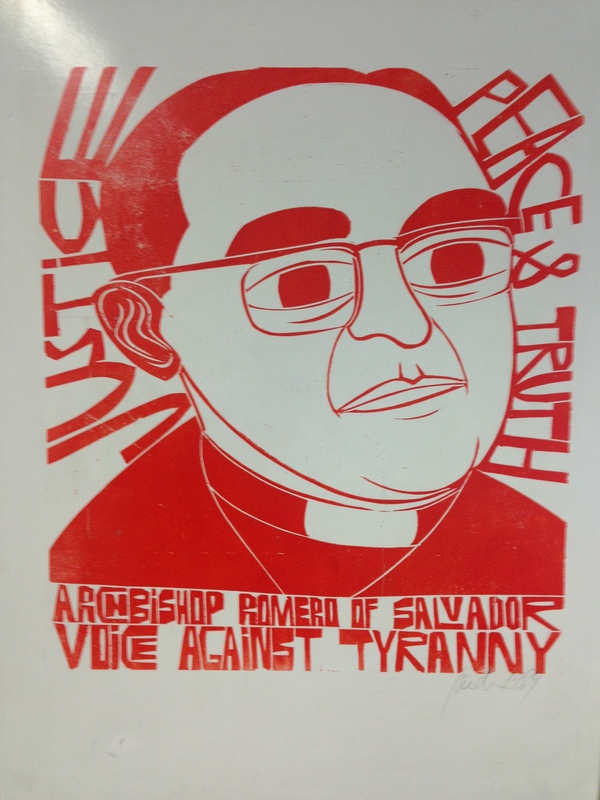 Until his assassination, Archbishop Oscar Romero (1917-1980) of San Salvador spoke out courageously in defence of human rights and social justice in strife-torn El Salvador. Oscar Arnulfo Romero y Galdámez was born in Ciudad Barrios, El Salvador, on August 15, 1917. One of ten children. He was apprenticed to a local carpenter when he was 13 years old but he felt a vocation for the priesthood. He left home the following year to enter the seminary and was ordained in 1942. Romero spent the first twenty-five years of his ministry as a parish priest and diocesan secretary in San Miguel. In 1970 he became auxiliary bishop of San Salvador where he remained for four years until 1974 when the Vatican named him to the see of Santiago de María, a poor, rural diocese which included the town he grew up in. In 1977 he returned to San Salvador to succeed Archbishop Luis Chávez y González, who had retired after almost 40 years in office. Oscar Romero was living in a period of dramatic change in the Church in Latin America. As Clare Dixon, Head of CAFOD in Latin America told us in the Cornerstone in Cardiff on Saturday 6 October, the region’s bishops, had met at Medellín in Colombia, in 1967 to discuss how to implement the recommendations of the Second Vatican Council (1962-1965), locally. Canon Peter Collins and CAFOD supporters and J & P campaigners at The Cornerstone in Cardiff to hear Clare Dixon, CAFOD’s Head of Programme in Latin America for almost 40 years. El Salvador was an extremely conservative society where a privileged few enjoyed enormous wealth at the expense of the very impoverished majority. Some younger priests recognized the injustice and imbalance of this situation and sided with the poor but the lone voice of encouragement in their efforts came from Archbishop Chávez y González. During this period Oscar Romero was seen as a conservative and sometimes sceptical of both the Vatican II reforms and the Medellin pronouncements. So when he was appointed Archbishop in 1977, he was not a popular choice with the politically active clergy, who saw his appointment as preserving the status quo in a safe pair of hands. However, Romero emerged almost immediately as an outspoken opponent of injustice and fearless defender of the poor and suffering. Romero himself said that he owed his change of attitude to his time as Bishop of Santiago de María, where he witnessed firsthand the suffering of El Salvador’s landless poor.